Sample usage of Nearest Neighbors classification. It will plot the decision boundaries for each class. # point in the mesh [x_min, x_max]x[y_min, y_max]. 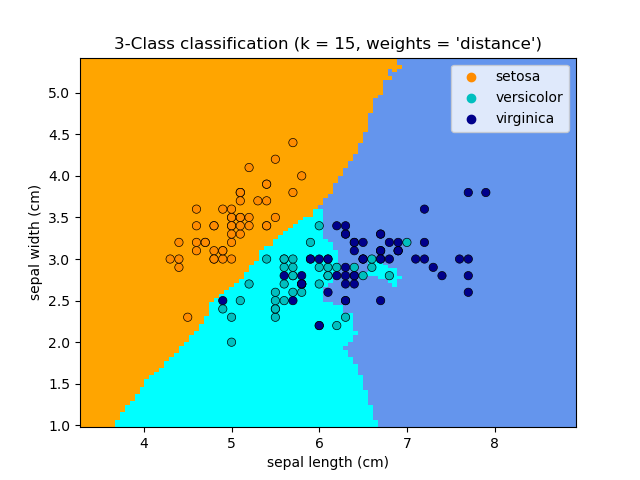 plt.title("3-Class classification (k = %i, weights = '%s')"